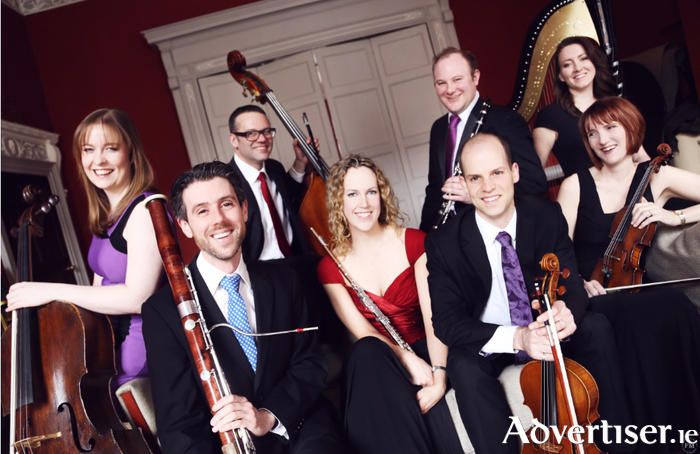 THE MUSIC of Beethoven will be heard in re-named Emily Anderson Concert Hall at the Aula Maxima, NUI Galway, when the Ficino Ensemble perform the next Music For Galway concert. The ensemble - Elaine Clark (violin ), Nathan Sherman (viola ), Ailbhe McDonagh (cello ), Macdara Ó Seireadáin (clarinet ), John Hearne (bassoon ), Cuan Ó Seireadáin (French horn ), Dan Bodwell (double bass ) - will be joined by 16-year-old Cork pianist, Kevin Jansson, on Friday February 24 at 8pm, playing Beethoven's Piano Sonata 'Quasi Una Fantasia' Op 27 No1 in Eb; the String Trio Op 9 No 2 in D; Septet Op 20. Emily Anderson was born in 1891, the daughter of Alexander Anderson, then president of Queens College, Galway (now NUIG ). Emily attained a first class Honours BA in modern languages after studying in Germany, and became the first German professor at the university in 1917. She later edited and translated the full correspondence of Mozart, and 10 years later that of Beethoven. The upper hall in the Aula Maxima will re-named the Emily Anderson Concert Hall in her honour on Thursday February 23. Tickets are €20/16/6 via Music for Galway (091 - 705962, www.musicforgalway.ie ) or Opus II, High Street. The concert will also be broadcast live by Lyric FM.